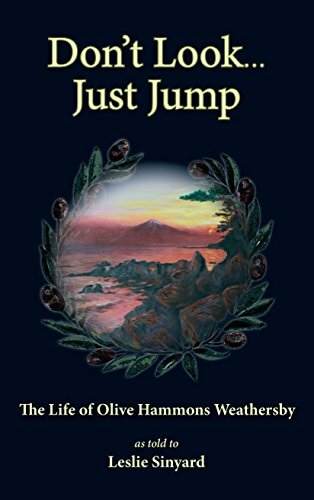 From small-town Louisiana, around the world, and back to Athens, Georgia, journey with Olive Hammons Weathersby and her beloved husband, A.B., a professor of entomology at the University of Georgia for over 20 years. The first civilian woman to parachute from a crashing military plane, Olive would go on to face many additional challenges, and like many members of the Greatest Generation, she would do so with grace and gratitude. Leslie Sinyard has lived in Athens, Georgia for 27 years and, like A.B. and Olive, is a tried and true Georgia Bulldog, having graduated from the University of Georgia in 1983 with a degree in International Business and Finance. She is married to Robert and has three adult children who are grateful to have considered Olive Weathersby their Athens grandmother. Don't Look...Just Jump is Sinyard's debut book.